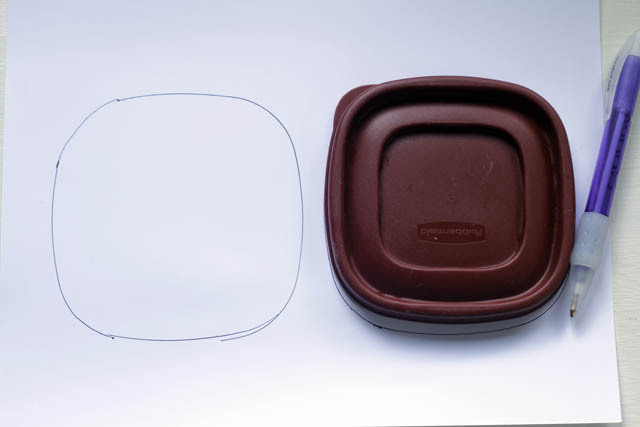 1) Find a patch shape to use. 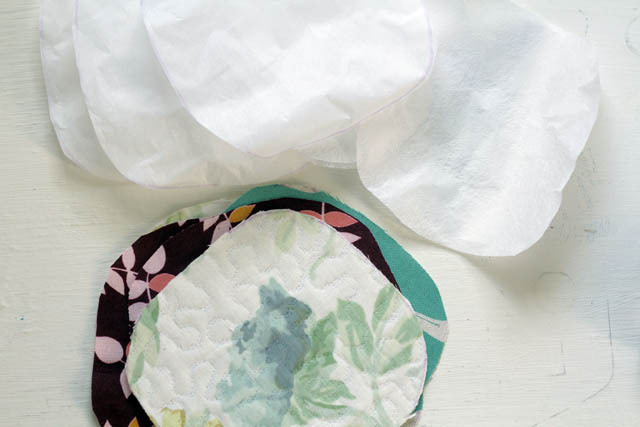 Here's a traditional-shaped elbow patch template from Martha Stewart. My printer is on the fritz so I used the top of a tupperware container. You could also go more playful and use stars or hearts as patches. Use thick paper like card stock to trace your pattern onto; then cut out. 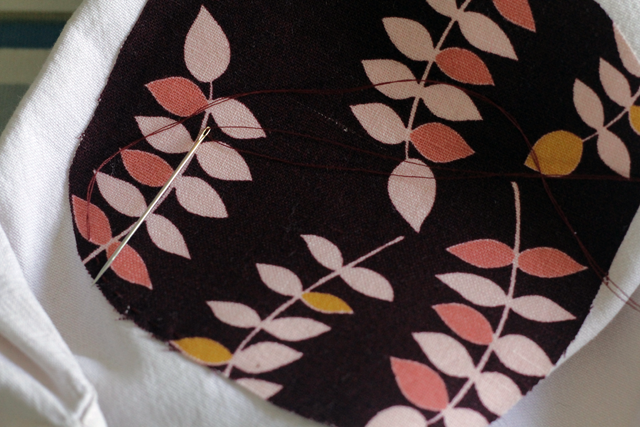 2) Trace pattern onto fabric and onto fusible webbing using washable marker. Cut out shapes. 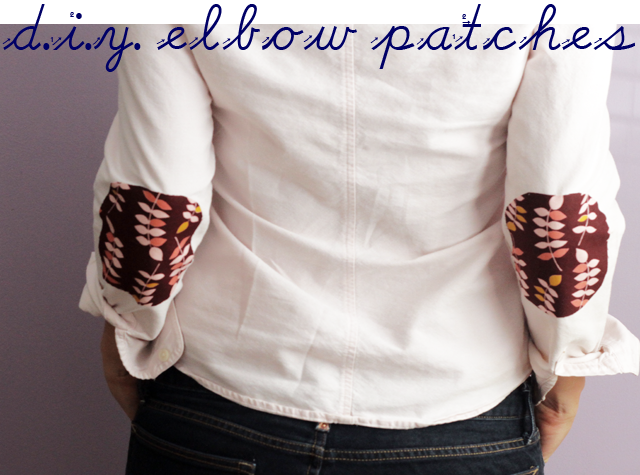 3) Try on garment and determine where you'll want your elbow patches to be. 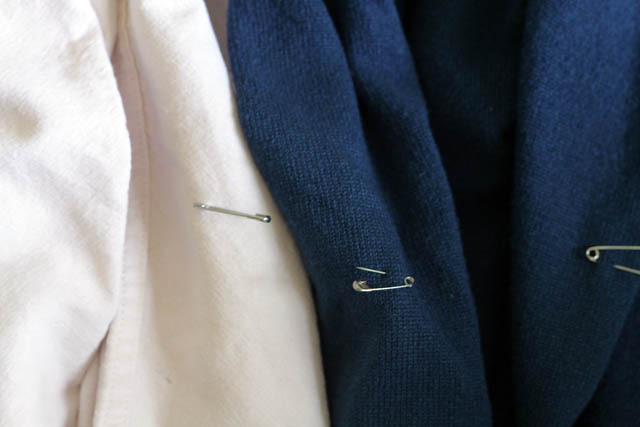 Mark the spot(s) with safety pins. 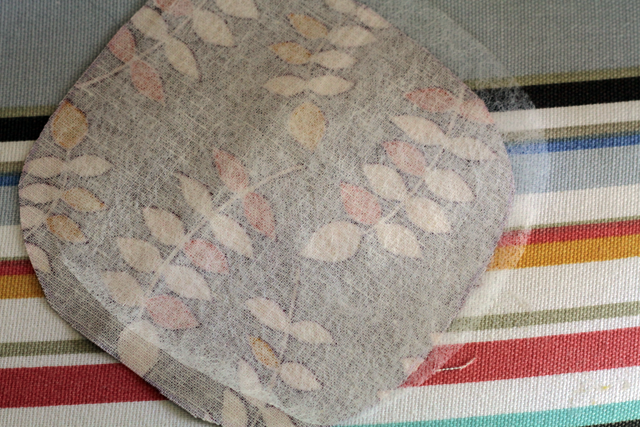 3) Peel paper off fusible webbing and line up with your patches. 4) Fire up your iron and attach patches. 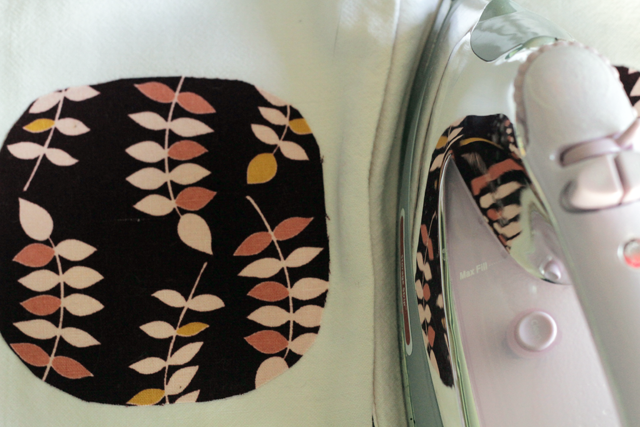 You can follow the directions that come with your fusible web, but the gist of it is not to flail your iron around on the garment but to press straight down for as long as you can without, essentially, burning your fabric. 6) Secure with needle and thread. A real seamstress would tell you to use a buttonhole stitch on your sewing machine to finish this applique, but c'mon, I don't know how to do that. And even if I did, there's no way I could do that without sewing the arms shut. So I used a good old fashioned straight stitch with a needle and thread. And here's the finished product(s)! I also added some elbow patches to a Target hoodie, and put some applique around the pocket area. Did I, at first, sew the pockets shut during the process? You better believe it. Did I also stand in front of my dining room wall that's wallpapered in the same fabric? Obviously. I want to do this! Have always loved them! Thanks for sharing! cute! 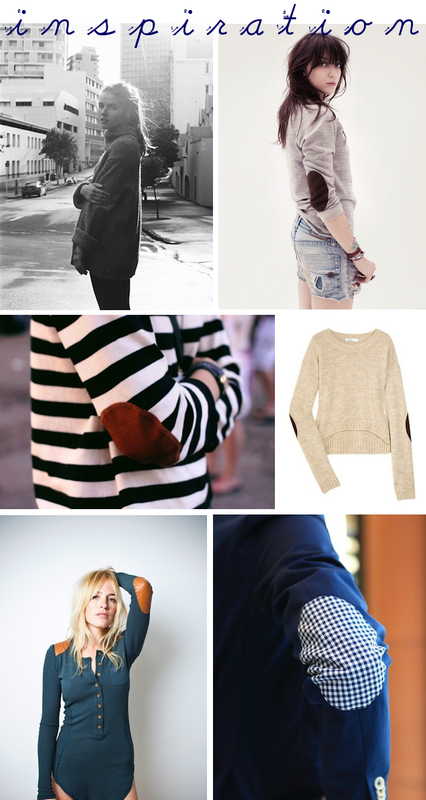 i saw a little cardigan with elbow patches on it at H&M when I was in NY and ALMOST got it..may have to try this out! too cute! I always loved those on guys smoker jackets. 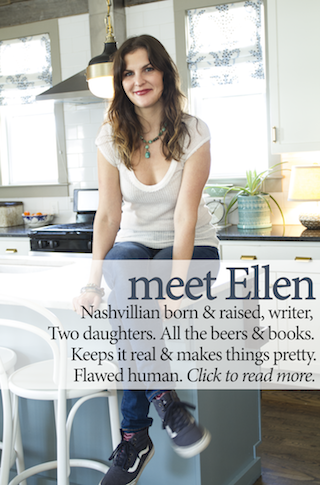 You so creative..
Love it Ellen! Love how they have a print!! Love this! 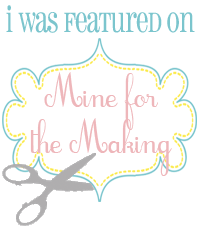 I'll be featuring it on my blog this coming Thursday!